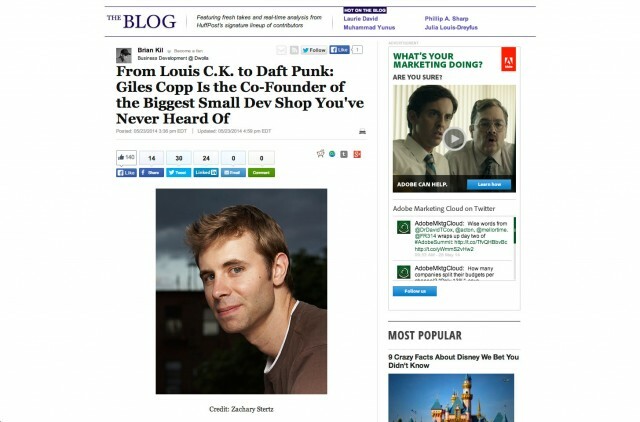 giles was interviewed for huffington post a couple of weeks ago. the piece, which sits?in their small business section,?is important to us as it expresses concisely how far we’ve come as a company and where we stand ideologically to this day. it’s not often?you get?an exact thing you can point at whenever people ask you where you’re at, but now we have one. a huge thanks?to brian kil for granting?us this opportunity to be this outspoken, and on such a high platform.